To test latest version of Sygic Professional GPS navigation 13.5.2 for free, just contact your sales representative or download a 14 day trial from Google Play. The main focus of the new release is to improve the user experience in order to adapt further to the needs of professional drivers. 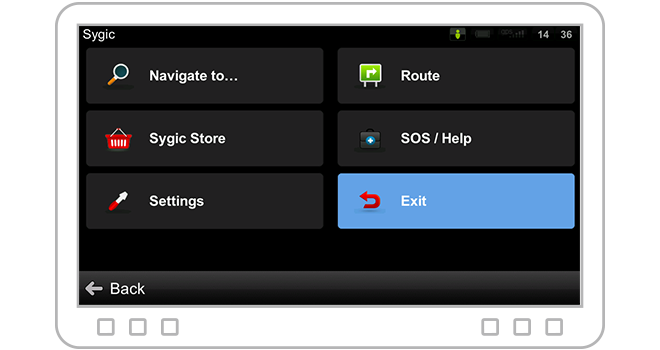 Version 13.5.2 of Sygic Professional GPS Navigation introduces a two column menu in landscape mode for easier app control. The settings menu now brings the most used settings controls to the top of the menu list. Other improvement can be seen when launching the application. At the start, Sygic Navigation asks the driver if he wants to be navigated to the last used destination. 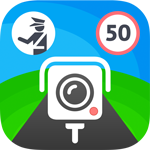 The driver can also easily access the Speed limit settings (sound notification when speeding), simply by tapping the speed limit sign from the navigation screen. alerts in different colours in case of delays (red) or anticipated arrivals (yellow). This feature comes in handy for delivery and client service fleets allowing couriers or dispatchers to take appropriate action through editing a delivery list and re-optimizing the itinerary, thus maintaining high efficiency in the field. Itineraries can be delivered from any planning tool into Sygic Navigation using SDK functions, or directly inputted or edited within the navigation. The size of new version 13.5.2 of Sygic Professional GPS Navigation for fleets has been reduced to fewer than 50MB to make installation faster. Improved Traffic engine has been also optimized to reduce amount of transferred data. Updated Truck maps are now available with fixed speed limits for hazmat in France. For more information about the latest Sygic Professional GPS Navigation release, please contact our sales team.